The phenomenon of Rangjung is well known in Tibet and Nepal. 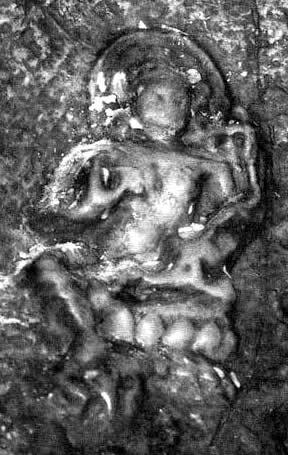 It consists of the emergence of an image of the Goddess Tara from a sheer rock face. It is regarded as a miraculous Grace bestowed by the Goddess Tara, and a source of supernatural blessing. Such "emerging" images are found throughout Tibet and Nepal. Please look at this picture. This is a rangjung that has appeared in Nepal. It has been "pushing" out of the rock for over twenty years. When Miss Norma Levine, who took this photograph, first saw it, it clearly resembled the general outline of a seated female figure. At the time of this photograph it had become, as you see, much clearer. This could not possibly have been made by human carving, because the image is pushing out of the rock, with all the natural texture of the rock's outer surface undisturbed. Pilgrims come to see the image and the surrounding area is strewn with white offering-scarves. Butter-lamps and images are lit to pay homage to Tara and it is believed that the very winds that caress her form carry blessings to all they touch. In the West there have also been rangjung in Poland, America and other places in recent decades. These are appearances of Our Lady Mary, most often in the bark of trees, and such natural icons are equally venerated among the Western faithful as they are in the East. Are the Western rangjung the same as the Eastern ones? No less a person than His Holiness the Dalai Lama has said that they are. On being told of them, he said: "Yes, this would be rangjung, the same thing as we have been talking about, of course, the same thing." The figure that appears to us, whether we call Her Tara or Mary, is the one Great Mother of us all. As the Dalai Lama confirmed: "Yes, Tara and Mary create a good bridge. This is a good direction to go in." In the West, however, there is also an atmosphere of skepticism, and many people not only question these images, but attack them and their believers verbally in ways that range from the condescending to the obscene. Much of this skepticism is based on a sentimental and illogical interpretation of "science". Western "science" is a method of observation and prediction of natural phenomena. It has no bearing, either positive or negative, on supernatural phenomena, but it has bred a climate of vulgar skepticism among those who treat it not as a method with its own strengths and weaknesses but as a quasi-religious (or counter-religious) "explanation-of-everything". Such people are usually motivated not by a pure love of "scientific" knowledge, but by a materialist rancour against all that lies outside the domain of the mundane. It is perhaps because of this that Western rangjung are rarely as perfect and unequivocal as those found in the East. 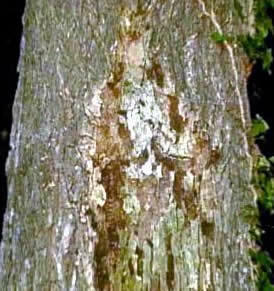 The tree-bark images of Lady Mary – like the one pictured here – can more easily be dismissed by skeptics as chance natural phenomena. It would be easy for Our Lady to confound skeptics by producing an image of Herself as clear and unequivocal as those She makes in the East. Why does She not do so? Perhaps it is because it is part of our werde as Western-born children to battle with the trials of skepticism. Eastern people have other trials and a different werde. Also, the very existence of human skepticism, to the degree that it dominates the Western mind, causes a "hardening" of the psychic atmosphere (already very hardened in Kali Yuga) that makes the very stuff of the world more impervious to the miraculous. Naturally, Our Lady, who has created the universe, can override this without the smallest difficulty, but for Her own reasons, She often chooses to work, to some extent at least, within the limitations of a particular Age and people with its particular werde. 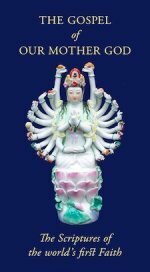 Nonetheless, the appearance of rangjung in both East and West shows how Our Lady is touching Her world, and gives a clear sign, for those of us who worship Our Mother God, that whether we call Her Lady Tara or Lady Mary; Quan Yin or Sri Devi, She is always and everywhere one and the same Dea: Our own dear Mother God. Darshan is a Sanskrit word meaning a Grace-bestowing sight. Pilgrims to these rangjung, Eastern and Western, know that merely by looking upon them they take darshan and receive Our Lady's Grace. We believe that, even in photographic form, some of that Grace still inheres in them: and we invite you, through this providential medium of electronic communication to gaze upon these images of Our Lady's rangjung and take darshan of them. And may Our Mother God bless you always.